David Friesen has performed and/or recorded with the likes of Stan Getz, Michael Brecker, Dizzy Gillespie, Freddy Hubbard, John Scofield, Elvin Jones and Jack DeJohnette. October 2017 sees the highly regarded American jazz bassist touring NZ for a second time, promoting an album of tunes recorded live at Auckland’s Creative Jazz Club back in 2015. Auckland jazz guitarist Dixon Nacey and Wellington drummer Reuben Bradley feature on that recording, and will again accompany Friesen on this local tour. Andy Morris talked with Nacey about the experience of playing alongside a living jazz legend. Though he’s been regarded as one of America’s foremost jazz bassists for around four decades, it was only two years ago that New Zealanders first got the chance to hear David Friesen live. It was a well-received two-week tour of the country that saw him team up with guitarist Dixon Nacey and drummer Reuben Bradley – two of Aotearoa’s finest jazz exponents. The 75-year-old has played with the likes of Dizzy Gillespie and Stan Getz, and has been the leader on more than 65 albums since 1975 – the most commercially successful of them being his 1989 release, ‘Other Times, Other Places’, which reached #11 on the U.S. Billboard jazz albums chart. His latest release, the similarly-titled ‘Another Time Another Place’ (Rattle), captures the final night of that debut NZ tour, recorded live at Auckland’s Creative Jazz Club in 2015. The CD is being released to coincide with his return, where he will again be joined by Nacey and Bradley. Of the 11 tracks on the album, seven or eight will be revisited by the trio when they play dates in Rotorua, Hamilton, Auckland, Wellington and Christchurch over consecutive nights from October 16. All are original compositions, with most coming from Friesen’s recent studio recordings, including the title track, which appeared on last year’s ‘Triple Exposure’ (Origin Records) album. It was Friesen who, having been approached to tour NZ, first contacted Nacey ahead of time to ask him to come on board. He told the Auckland-based guitarist that having checked him out he felt he could handle the compositions. Far from an easy feat, given their complexity and the fact that Nacey had to transfer them all onto the guitar since they were composed on the piano. It meant the Auckland University professional teaching fellow spent months getting across the music, but with Friesen only arrived in the country just before the tour started there was very little time for rehearsal. As a trio, they only had one hour together before their opening date, and Nacey discovered straight away that the bassist demanded the very best of him. Even for someone who’s been on the jazz scene for more than 20 years, and recorded three albums with the Sansom Nacey Hanes Trio, it was a pressure situation. “After the first rehearsal, I went back home and stayed up all night practising for about nine hours straight,” says Nacey. “After that everything was fine. But as we went through the two weeks playing the tunes, I would workshop them and it got clearer and clearer and the music got better and better. Friesen headlined the Queenstown Jazz Festival on his first trip over, and this time around the October 18 performance will be part of the Auckland Jazz Festival. 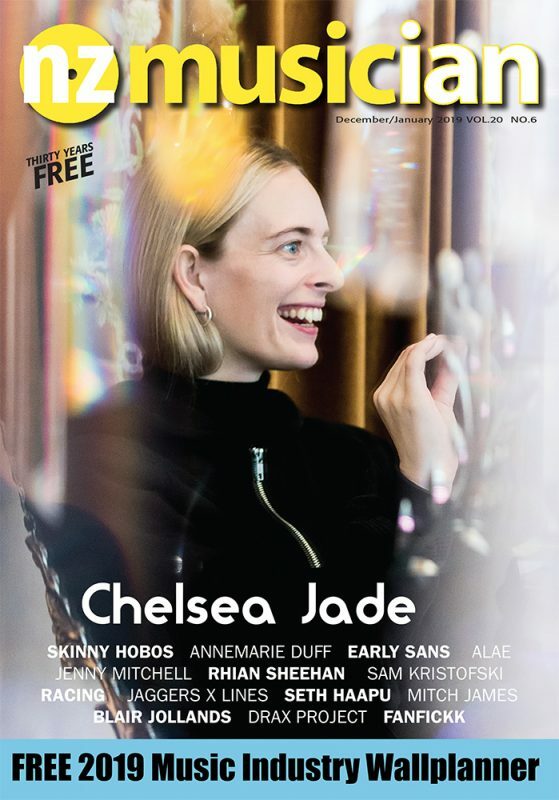 It’s back at the Creative Jazz Club, though at a different venue as the CJC have moved twice since then, and are now happily at home at The Thirsty Dog Tavern on Auckland’s K’ Road. Around 40% of the NZ shows will be music not on the newly released album, and even the tracks that are on ‘Another Time, Another Place’ will have something of a new feel, as Nacey explains. Having spent the past month immersing himself in the music again after a two-year gap, it’s been a demanding time for the guitarist. He’s also flat-out currently as the musical director of Auckland’s Christmas In The Park, as well as lecturing. The way the album came out, Nacey feels, was a successful rendering of Friesen’s unconventional, non-functioning harmony compositions. “It’s an odd kind of mixing and melding of harmony, but listening back I thought, ‘This is really beautiful what he’s done here,’ and somehow it works,” he says. “Maybe every other time we’d play the stuff exactly as written, then at other times there would be an intro and I’m thinking, ‘Where the hell did that come from?’ or an outro. Nacey felt there was something almost psychic going on between the trio during those 2015 gigs, and he’s keen to recapture that experience. ‘Another Time, Another Place’ is out now on Rattle Records (www.rattlerecords.net).